Saffron & Sage provides workplace wellness offerings to a handful of San diego-based brands. Our corporate offerings range from events to memberships that support our three corporate metrics; people, purpose and profit. Our workplace wellness offerings are an offering to other companies in our community to incorporate our culture of self care. We believe this is the key to happy and healthy employees who are live and lead purpose-driven lives and therefore create profit for your clients and company. Need a break from the office? Take over our space and host your next corporate event here at Saffron & Sage! 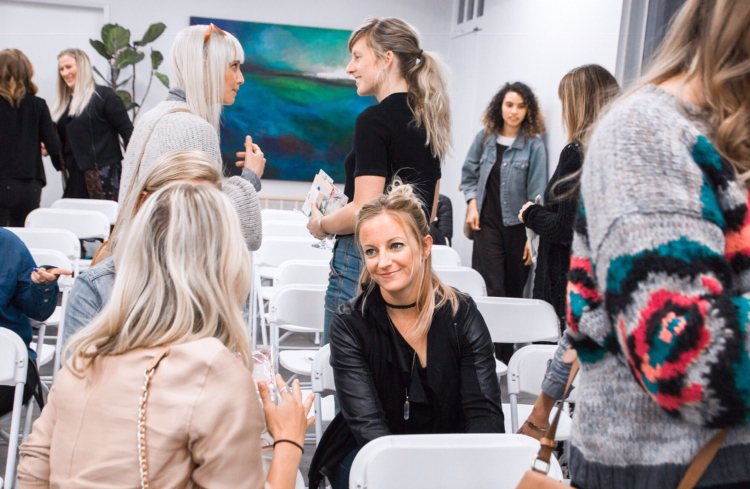 We have a private boardroom where your team can collaborate on new ideas and brainstorm on company initiatives, then break off into groups throughout the day with yoga sessions, sound baths, reiki healing, acupuncture and massages. An incredible way to treat your employees all in a days work! Email us at service@saffronsageliving.com for more details!